Jerusalem based Teva Pharmaceuticals is likely to acquire the generic drugs unit of Allergan, to strengthen its position in the generics drugs market. 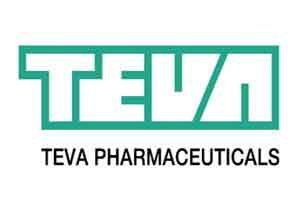 The deal which is valued at a cost of $45 million, gives Teva the advantage of significant cost synergies and tax savings. Currently valued with a market capitalization of $60 billion, Teva will buy the big generics business of the Dublin based Allergan, which currently constitutes a third of the company’s total revenue. According to some recent reports in the media, a formal announcement can be made as early as next week. At the moment, the discussion is under negotiation, and highly confidential, said a resource not wishing to be identified. Company representatives did not respond to requests for comment. Allergan now has a market capitalization of $121 billion. In an earlier development, in 2014, Actavis Plc merged with Allergan and adopt its name. This deal can also be viewed in consideration of the fact that large drug makers are trying to realign their operations to focus on a small number of leading businesses, while smaller specialty and generic producers now have an access to a larger market, or scale of operations. Teva’s bid for Mylan took a hit earlier this week when the latter’s independent Dutch foundation exercised a call option allowing it to buy 50 per cent of Mylan’s total issued and outstanding capital, giving it temporary control of half the company. The foundation, known as Stichting, opposes Teva’s bid, arguing that a Teva takeover would likely lead to job losses at Mylan and reduce access to cheap generic medicines in emerging markets. Mylan for its part is pressing on with a $34 billion hostile bid for Perrigo Co Plc. Were Teva to clinch a deal with Allergan for its generic drug business and drop its bid for Mylan, this would likely strengthen the hand of Mylan’s management in its campaign to buy Perrigo.